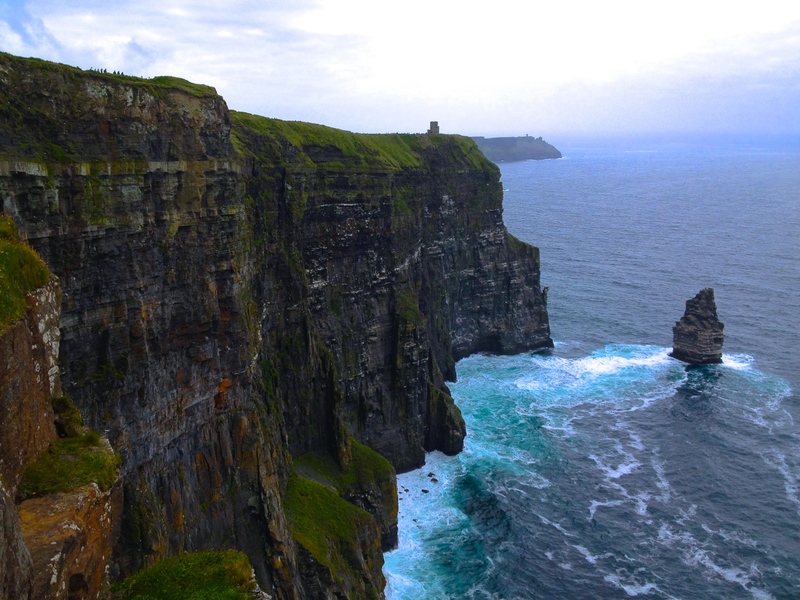 The stunning Cliffs of Moher, on Ireland’s west coast, reach a maximum height of 702 feet above the Atlantic Ocean. This is not the place to be a careless idiot-unless you want to plunge quickly to your death (vacayfail). Even in the summer, it can be windy, and there is no one stopping you from getting right up to the edge of the cliff (at your own risk, of course). I’m smiling, but I was actually terrified while taking this photo. It was a pretty stupid idea and I wouldn’t do it again. To get up, I slithered my way backwards until I was far enough away to stand up safely. We arrived here by car from Galway (just under 2 hours) and spent about 2.5 hours here. Even on a cloudy day (plenty of those in Ireland) the scenery here is remarkable. The history of the Cliffs of Moher dates back at least two thousand years. The name comes from a 1st Century BC fort that use to be where the Moher Tower stands now. 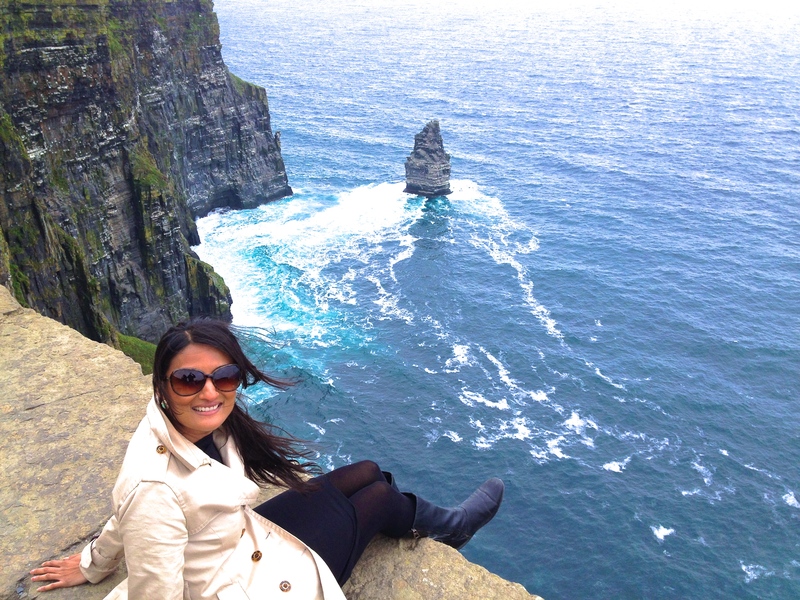 The Cliffs of Moher are named after the old Irish word “Mothar” which means ruined fort. Admission to the paths to walk along the cliffs (at the time of this post) is 6 Euros, which includes parking. You can visit between 9 am and 5 pm year round, with extended evening hours in the summer. There is also a visitors center with bathrooms and some limited food options. You may find cheap flights to Ireland by flying into Shannon airport, rather than Dublin. Shannon airport is on the west coast of Ireland and is a convenient gateway to Ireland’s west coast. At the top of the photo you can see how small the people are walking along the cliffs, giving you a sense of how high you really are above the ground. June, July, and August for the best weather and most frequent bus service (if you do not plan to rent a car). May and September for less crowds and mild weather. Comfortable walking shoes to walk along the paths, and multiple layers in case it turns chilly. This area is always windy and it may rain so bring a raincoat! The easiest way is by renting a car from either Galway or Limerick. Several tour companies will also offer tours from Galway, and Limerick if you do not want to rent your own car. Some companies will even offer one day trips from Dublin. However, keep in mind that Dublin is 3 hour drive from the Cliffs of Moher, so a tour company offering to take you to the Cliffs and back to Dublin in one day means you will be leaving very early, spending little time on Ireland’s west coast and returning very late at night to Dublin. It is really best to spend a few nights on Ireland’s west coast to explore other areas. If you are traveling in a group and can split the cost of car rental, renting a car, and spending a few nights on the west coast, is the most efficient and painless way to visit the Cliffs. The cheapest way to get to the Cliffs of Moher, especially if you are traveling alone, is by public transport. All major cities in Ireland are connected by rail, but to get to the Cliffs you will need to take a bus from the rail station. The train journey from Dublin to Galway is 3.5 hours. From Galway you can take a bus operated by the Bus Eireann Company. They offer more frequent service in the summer months so be sure to check the schedule before planning. The Cliffs are amazing, but you also should explore the Ring of Kerry as well as the Gap of Dunloe which are also on Ireland’s west coast. 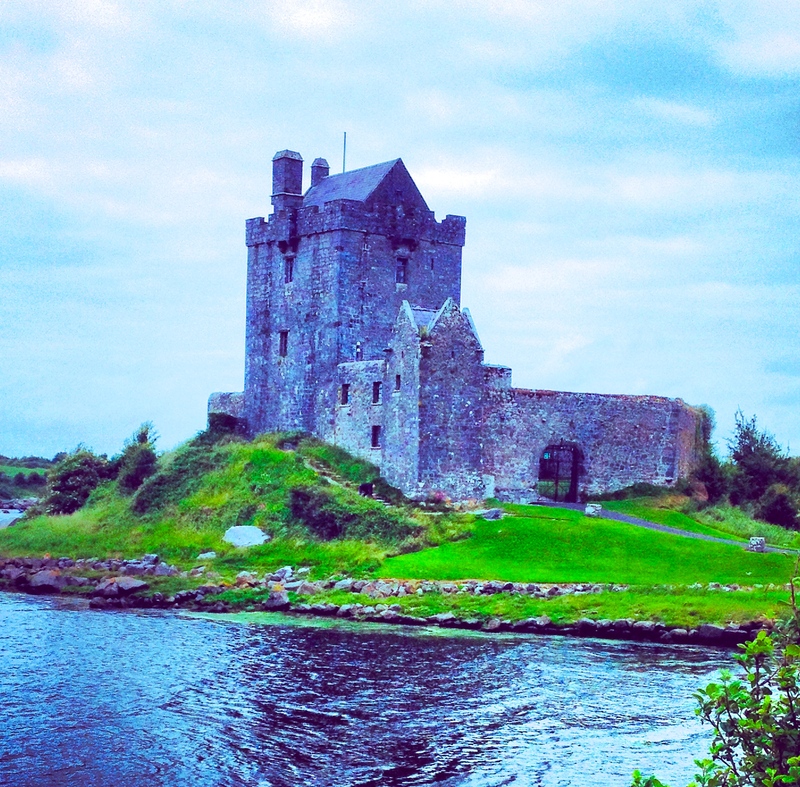 Dunguaire castle, which sits beside a small lake, is a great place to take some photos of a real Irish castle. It is about an hour from the Cliffs, but it is en route to Galway, so is a nice way to break up the journey. Head north after leaving the Cliffs on N67 and take the road north for approximately 50 Km and the castle sits right off the side of the road as you approach Kinvarra (just past the intersection of N67 with R347). Built in the 16th center, Dunguaire Castle sits on Galway Bay, and it is open to visitors April to mid October from 10 am to 4 pm.